We have a new challenge over at Cuttlebug Mania starting from today, the theme is 'Tag, You're It...' and you just have to use a tag or add a tag to your creation. Entries must only use manual die cutting/embossing machines and also state what you used to make your entry. Easy and good fun so why not come and play? The prize this fortnight is donated by Random Vintage Finds - and of course the DT will be picking our top entry, plus runners up, as usual. - the sentiment was stamped using SU's 'Smoky Slate' and stamps from the Winnie and Wilfred 'The Big, the Bold and the Happy' set - I adore these stamps! Really obvious tip for today I suspect, when adding the flowers I stuck three straight onto the tag with glue and then the next two were popped on with little pieces of thin sticky pad just to add dimension. Hope to see you playing along with us! This card uses the same colours as my last Cuttlebug DT card (white, pink, grey and green) - mental note to ring the changes for the next fortnightly challenge! 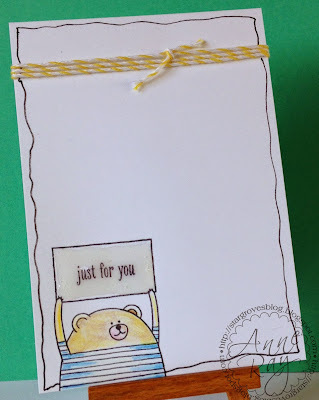 My snippets card this week is also my second entry into Darnell's NBUS Challenge, where you have to use something for the first time. There are really generous prizes to be won and you have until 31st March to nip in with up to three entries. 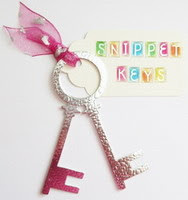 Just look what you can make with a variety of punches and some snippets! 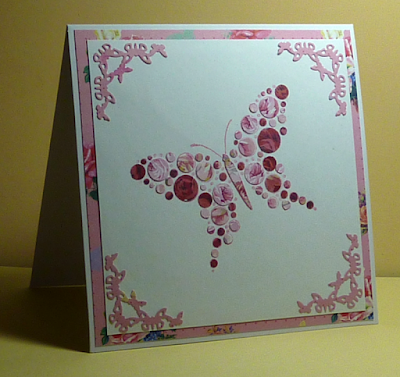 Kim brought this fabulous butterfly card to share with us. 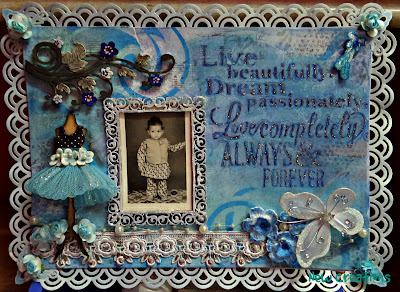 I immediately fell in love with this beautiful layout, made by Vinita. So dimensional and that little poppet in the photo is our very own Vinita, aged two - soooo cute! I love, love how Laura used little snippets to make this clever card - and all the details of how to make one the same are there on Laura's blog with step by step photos too! 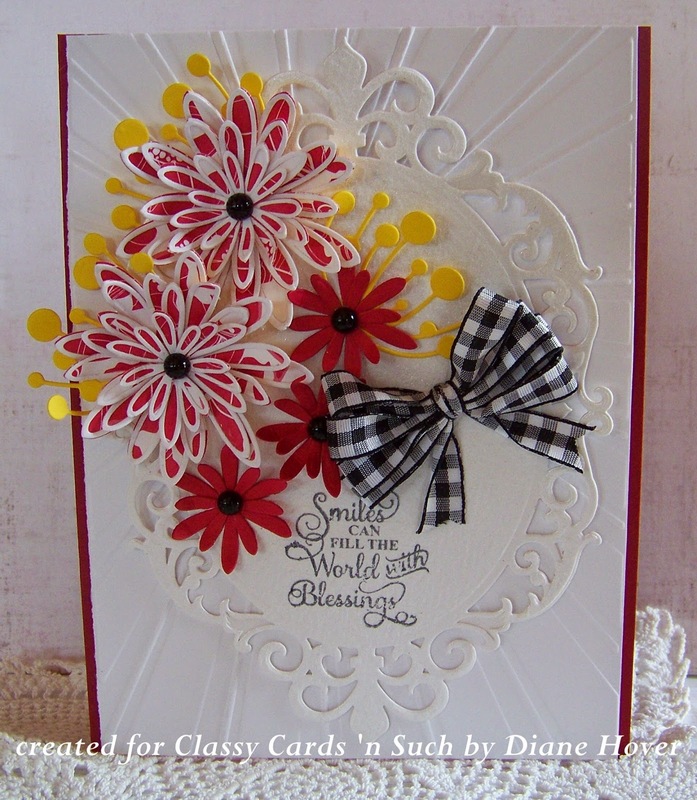 Diane H skipped in at almost the last minute, with this beautiful card - what a splash of Summer! 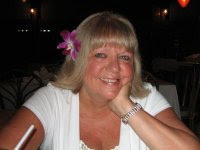 Well done Kath, I have your address here and will post your prize off to you during this week. Yup, it's the same as the die and stencil I used today - no acrylic paint I'm afraid. It's bad enough not being able to send liquid goodies abroad but even within the UK they've cracked down. Certainly it's like a cross-examination whenever I go to the Post Office these days - I don't mind if it makes life safer for folk but it does curtail some goodies I'd like to offer as prizes here. 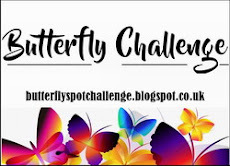 The Snippets Challenge will run for one week and the Playground gates will close at 11am UK time on Saturday 4th April (Easter weekend folks!). The gates will open again at midnight UK time on the same day. Maximum of three entries and please say 'Yes please' (or similar) in a comment if you wish to play and be a possible winner of the prize. If you only fancy one or other of the items in the prize then just say so - I could then do a second draw for the other part, but the two items are up for grabs as one prize! It was a first outing for the 'Festival of Trees' stamp set, so I'm taking this over to Darnell's NBUS challenge #4 too :) Over 800 followers over there now - go Darnell!! A friend of mine recently had a Birthday, and her sister made her a pop up box card. Squeals of amazement from said friend, who is a card maker but sticks to tried and tested folds (I once gave her the vapours just showing her how to make an easel card!). Such a difficult thing to photograph! Now to show friend how to make one, without her toys flying out of the window - wish me luck! Thanks again for the inspiration ladies! I don't really send Easter cards out but I think this little lady could well be making her way up the M1 to my step-mum! Am also entering this into the current Penny Black Saturday Challenge for March - 'Spring Blooms'. As well as the current Uniko Studio Challenge #19, which is Anything Goes. And another week just 'whooshed' past in the Playground. Spring is almost in the air, Spike the hedgie and a friend are out and about most nights and we even have intermittent sunshine as well :) Yay! Onto this week's picks now! 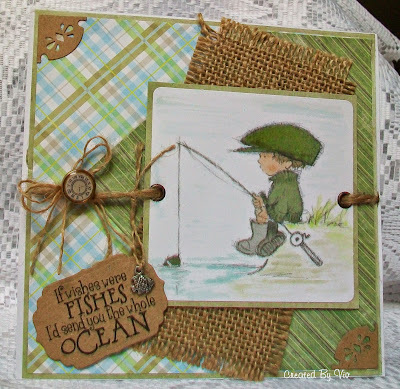 Viv makes beautiful cards, and this perfect card for a chap really caught (grin) my eye this week! I chose this card, made by Jenny H, for the really fresh look (great idea for the plants too!) and great use of snippets. Such a pretty bag made by Pippa, to hold Easter eggs. I thought the extra attention to detail by colouring the egg on the image to match the paper for the bag was so clever. I'm stopping at three picks this week, which is really what I've said for some time would be the magic number. 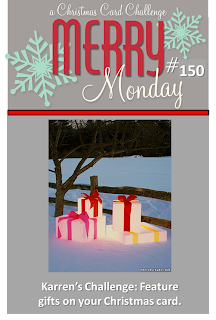 Needless to say, I adore every single entry you bring along so do please go to last week's Mr Linky and peek at the thumbnails if you want to see more work showing off snippets. This was a long time coming, and I actually mentioned (without naming her) that Kitty had played for nine months without a single win last week. Well Kitty, this is your week! In fairness, the first SIX numbers picked by Mr Random all belonged to Playmates who hadn't wanted to be in the draw - and then out popped Kitty - YAY!! Can you please email me with your address Kitty and I'll post your prize this coming week (di_wray@hotmail.com). As I said, it was just a matter of time! The Snippets Challenge will run for one week and the Playground gates will close at 11am UK time on Saturday 28th March. The gates will open again at midnight UK time on the same day. Maximum of three entries and please say 'Yes please' (or similar) in a comment if you wish to play and be a possible winner of the prize. It's a bit late as I lost the recipient's new address, but the thought is very much there! And so weird, I picked out a house stamp and set to making this card - only to discover I'd coloured it exactly the same as a previous card, with a red front door and also die cut using the same die set. But, the hearts coming out of the chimney are a new idea as is the sentiment ('Welcome to your new home' is just a tad too late!). The three hearts are quite significant as this card will be winging it's way to a lovely young couple and their baby daughter. The other day I got rather excited (once again to be honest!) over the Fiskars 'Compact Stamp Press' - and a few of you kindly commented and emailed me. I did subsequently find it on Amazon, shipped from the USA, but it's also in stock at Oyster Stamps (UK) for £9.99 and free p and p!! I think that's quite a bargain price, it arrived on Wednesday and am already totally in love with it :) Isn't it strange, I keep thinking that there can't be anything new left to play with in the manual tools line, and then along comes another surprise! Snigger, the biggest surprise of all could be when the walls of this craft room suddenly explode outwards, due to the amount of schtuff in here. Hello Spring - I'm back in town! It seems that both little Spike and probably a larger hedgie were out playing last night - eating the dried food we've been leaving out for so long as well as drinking their water - err, and having a real party just kicking everything around. Quite a mess of scattered food left, although the camera images we have aren't clear enough to post here. 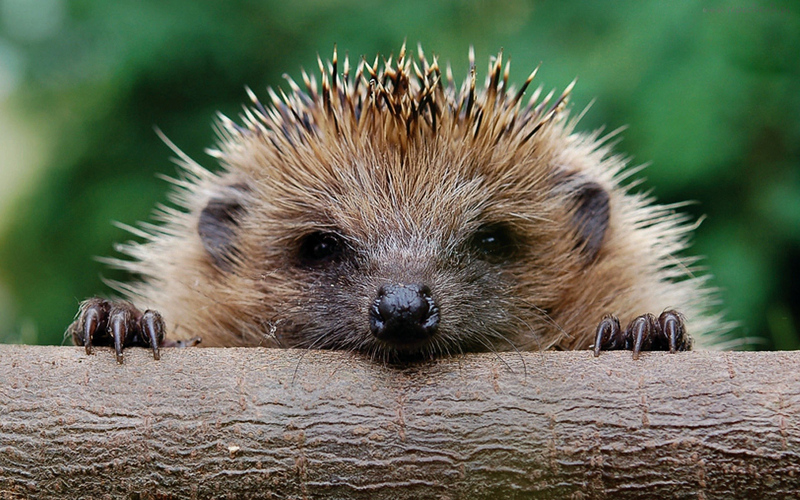 We're almost sure it was two different hedgies enjoying their first Spring outing. -a square of white card stock, stamped using Memento 'Tuxedo Black' ink and a stamp from the limited edition 'Sarntangles' stamp set, a few sets are still available from Sarn over HERE, but once they're gone, they're gone. I loved making these so much, the images stamp perfectly every time - so I made three, all the same :) Tee, hee - should I earmark one to send to Sarn this coming Christmas? And I'd also like to enter this card into Craftyhazelnut's Christmas Challenge Extra for March - where it's always 'anything goes'. We have another fun challenge over at Cuttlebug Mania this fortnight, called 'Freeze Frame'. This time you have to use or make a frame, basically any shape with the middle removed to make a frame. Loads of scope there ladies! Just so long as you use a manual die cutting/embossing machine that's fine, and also do remember to say which embossing, die cutting products you used. 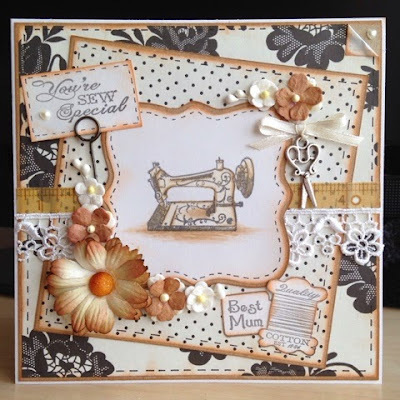 Our sponsor this fortnight is Digi Scrap Kits- and the artwork over there is fabulous! - to make the 'Smoky Slate' oval frame I first die cut it using a Spellbinders 'Big Scalloped Oval' die (I love the gentle curve on this set of scalloped dies) and then I die cut the centre out using a plain oval die. Now it's your turn to play, as I said before, there's loads of scope! - then cut a little blue butterfly out of the last little snippet I had and just popped it onto the 'label' on the bottom part of the card. 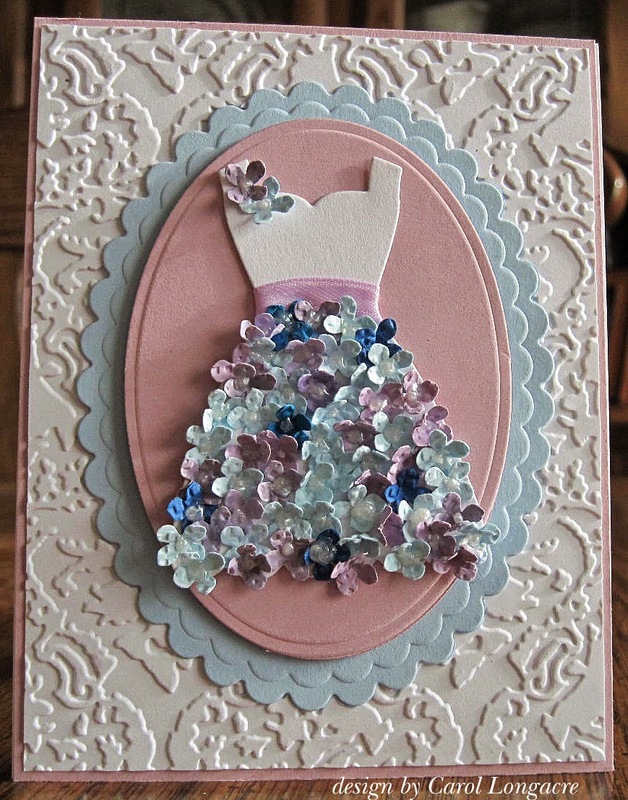 I just love, love, love this gorgeous card, made by Lucy to celebrate today - which over here is Mothering Sunday. So many pretty elements! The dimensions and vibrancy of Elly's lovely creation caught my eye straight away. When you hop over to take a closer look, be sure to turn on 'translation' and then you'll really appreciate just how much work went into making this! This card was made by Jane, using her X-cut 'Nautical' die set (won recently in the Playground) with the most fabulous 'encaustic art' background. Put simply, encaustic art is a way of painting using wax and heat BTW. I actually have this gorgeous card on my desk here (thank you again Jane!) and it's even lovelier in real life! This next part is a serious plea for you all to pray and send positive thoughts to Brenda L, who is one of our much loved playmates. The news of her husband Dwayne's illness isn't good right now and she needs all the love and support we can give please. Well done Cornelia! That little hedgie will be on his way to you just as soon as I get to the Post Office, I don't have a copy of your address from your last win - in week 120 which is almost a year ago, so this was well due. Can you please drop me an email to: di_wray@hotmail.com with your address! I do know of at least one loyal little Playmate who has been playing with us for nine months on end now, and to date just hasn't been lucky in the Random Draw. I truly wish everyone could be a winner but please be patient and keep playing! I do know that's it's a discontinued Hostess set, which I think makes it all the more desirable - I know that I would love to win it :) My favourite has to be the little baby's 'onesie', so cute. There are six stamps in the set, all ready for you to mount onto the supplied wooden blocks. Thank you so much Vicky! 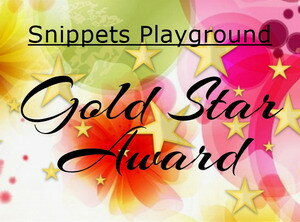 The Snippets Challenge will run for one week and the Playground gates will close at 11am UK time on Saturday 21st March. The gates will open again at midnight UK time on the same day. 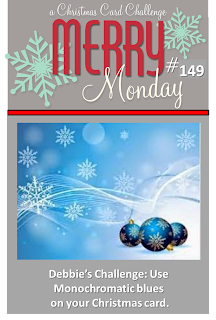 I love the current challenge of 'monochromatic blues' over at Merry Monday 'cos, apart from the tradional reds, greens, golds and silvers, I think that blue tones are really lovely for Christmas cards. PS, Just spotted that this card is also eligible for the Winter Wonderland challenge, which is 'Blue Christmas'! So there you have it, my offering for Cuttlebug Mania's 2nd Birthday. Why not come and play as well? Snigger, Len saw this and said 'If that's a honeycomb shouldn't the insect really be a bee?'. 'Not according to Mrs A's rools' said I - 'them butterflies gets everywhere'. Mrs A's challenge is open for a few days more BTW, can't wait to see what letter we have to play with next! 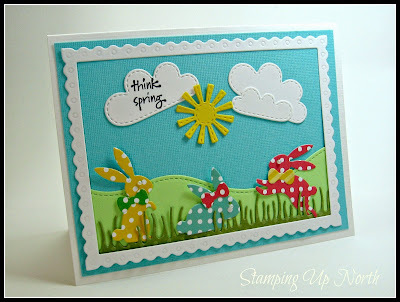 I picked this card, made by Laurie, as it's truly so Spring-like and it made me smile. We have loads of snowdrops blooming along the lane as you leave here, and there are crocuses and daffodils out in the Playground too. 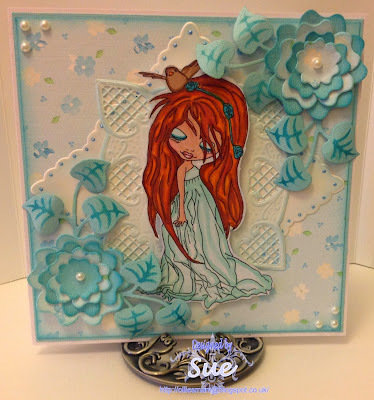 Sue J makes such gorgeous cards, and I just adore all the blues here - loads of snippets used and such a darling image too! I think this card is super! Made by Jackie T for Mrs A's Butterfly Challenge, the patchwork effect of the pretty hexagons is a perfect background for the lovely butterfly. And doesn't the sentiment sit beautifully too. I'm almost sure this is Sandy's very first Playground win, so well done Sandy! Can you please drop me an email (di_wray@hotmail.com) with your address and I'll post the embossing folder off to you ASAP this coming week. I think this is such a darling Penny Black stamp (called 'Hide-out') - and if memory serves me right it was an accidental duplicate purchase by Eve. Luckily for us I say! I haven't mentioned our own little Playground hedgie recently. He tailed off on his visits to feed about five weeks ago now - and then he quit calling altogether. Until the weather warms up a bit more we don't know if he went into a very late semi-hibernation or what. And we daren't check the hedgie shelter just in case he's fast asleep in there. It's a case of 'watch this space' for now. The Snippets Challenge will run for one week and the Playground gates will close at 11am UK time on Saturday 14th March. The gates will open again at midnight UK time on the same day.